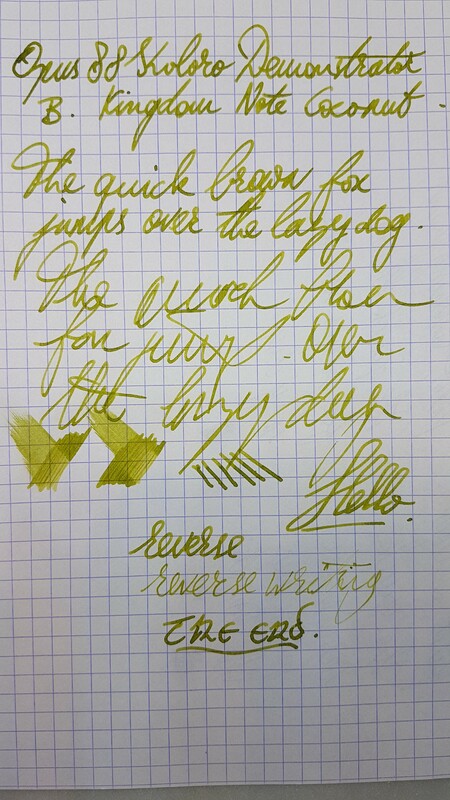 Time to look at my new pen. 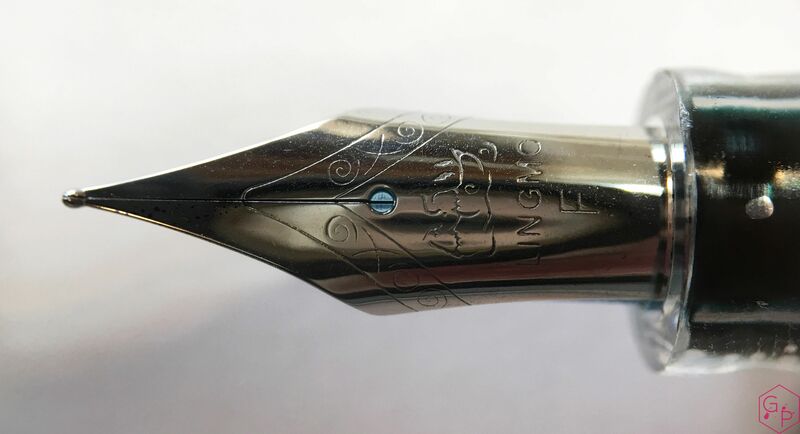 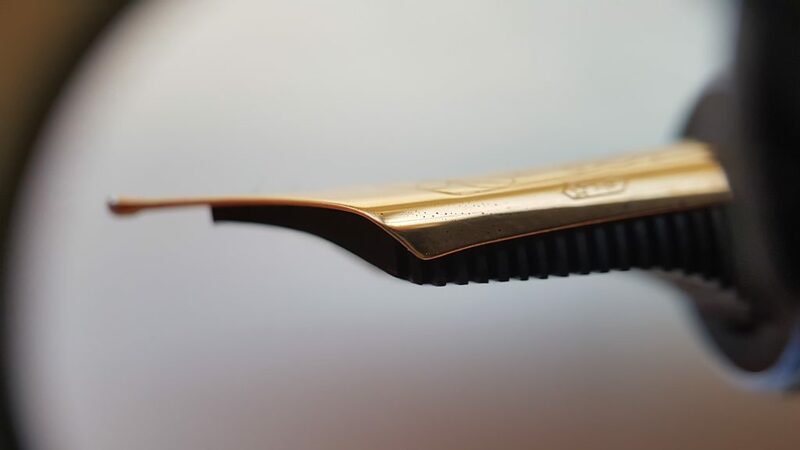 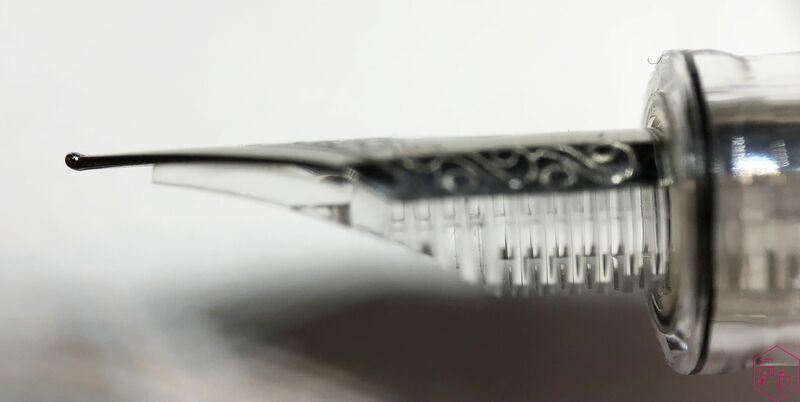 This entry was posted in Fountain Pens, Reviews and tagged #8 Nib, 14k Nib, Clear Fountain Pen, Delta, Demo, Demonstrator, Ebonite Feed, fountain pen, piston filler, review, Roma Imperiale on April 24, 2019 by sbrebrown. 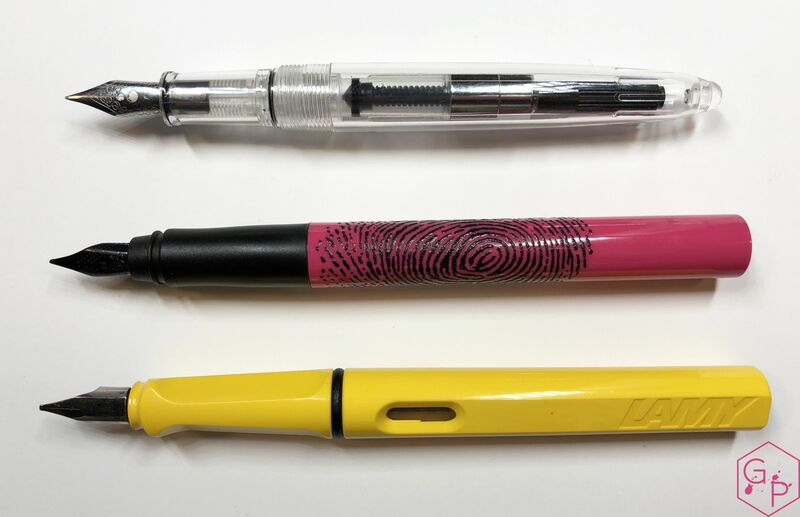 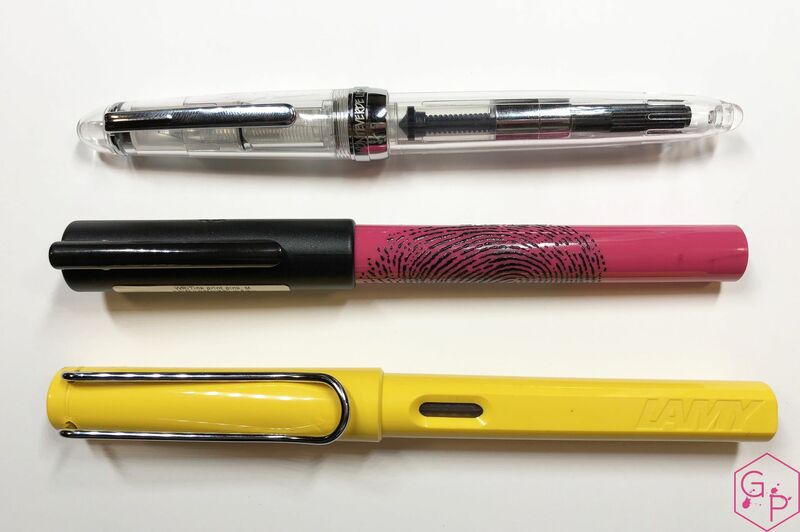 Let’s compare three incarnations of the same pen. 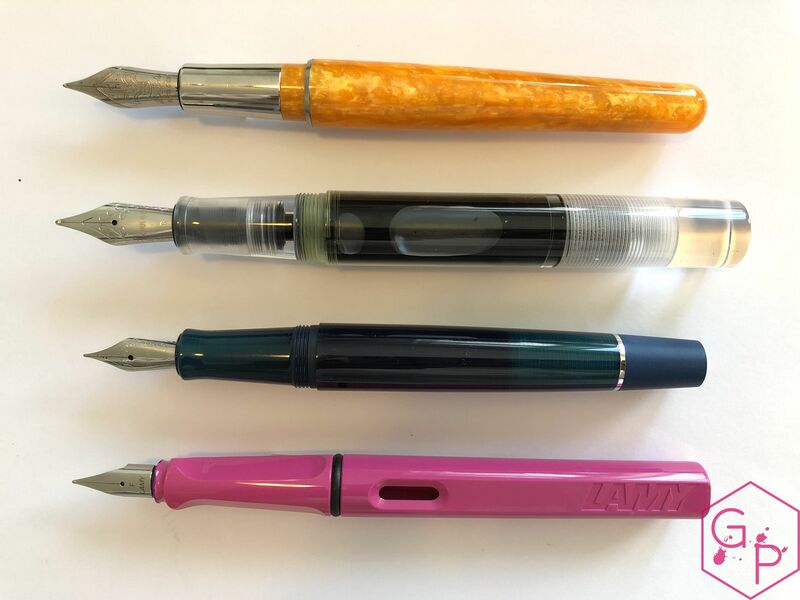 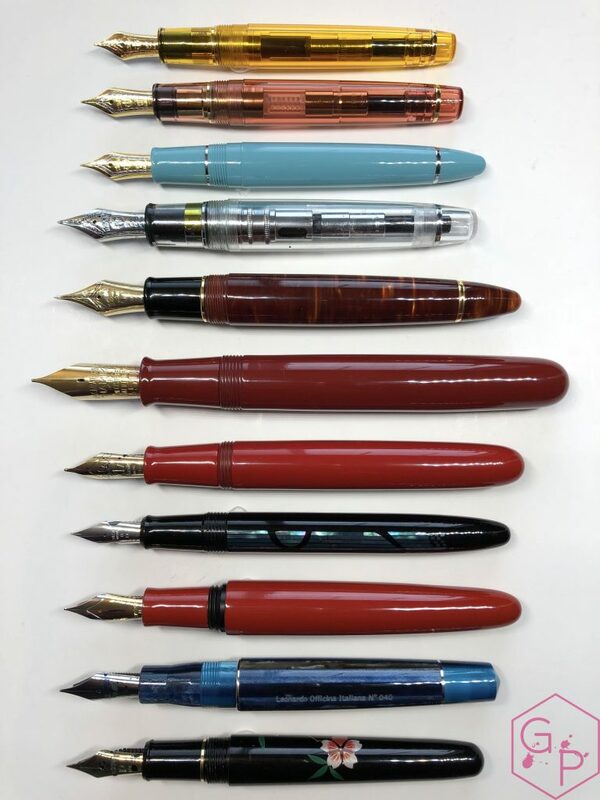 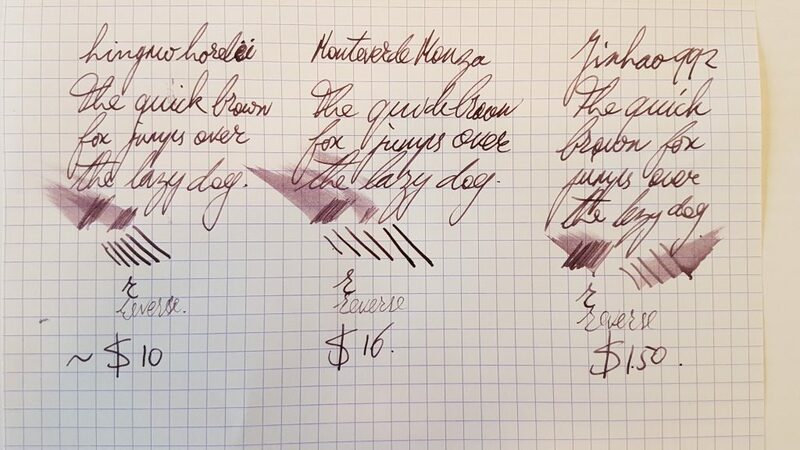 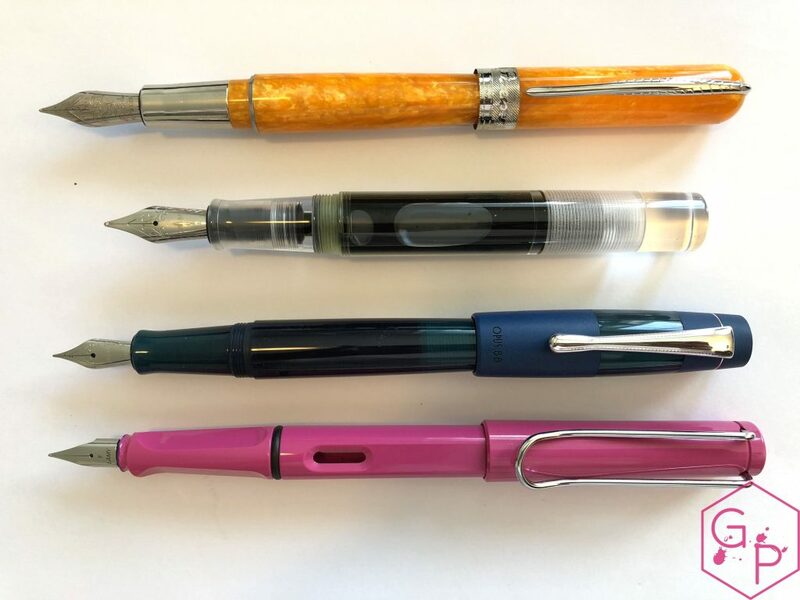 This entry was posted in Fountain Pen Shootout, Reviews and tagged Cartridge-Converter, Cheap Pens, Demonstrator, fountain pen shootout, Inexpensive Pen, Jinhao 992, Lingmo Lorelei, Monteverde Monza, Steel Nib on September 24, 2018 by sbrebrown. 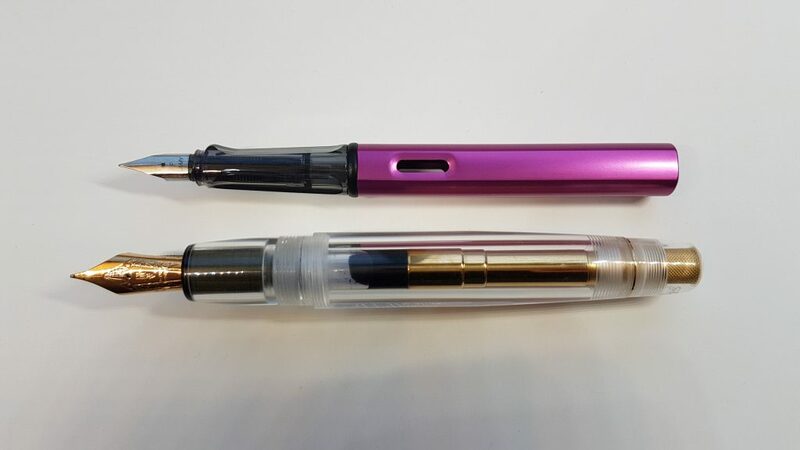 Let’s compare two pens with the same cool filling system by the same brand. 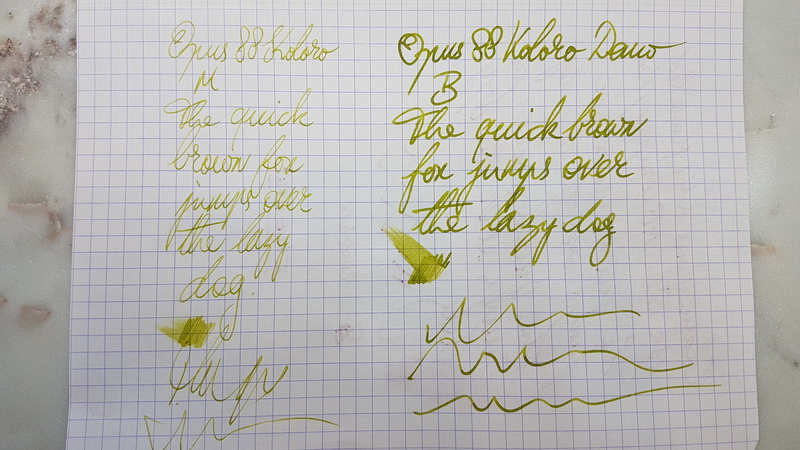 The Koloro was sent to me by Pen Chalet; the Demonstrator was sent to me by Goldspot – thanks a lot! 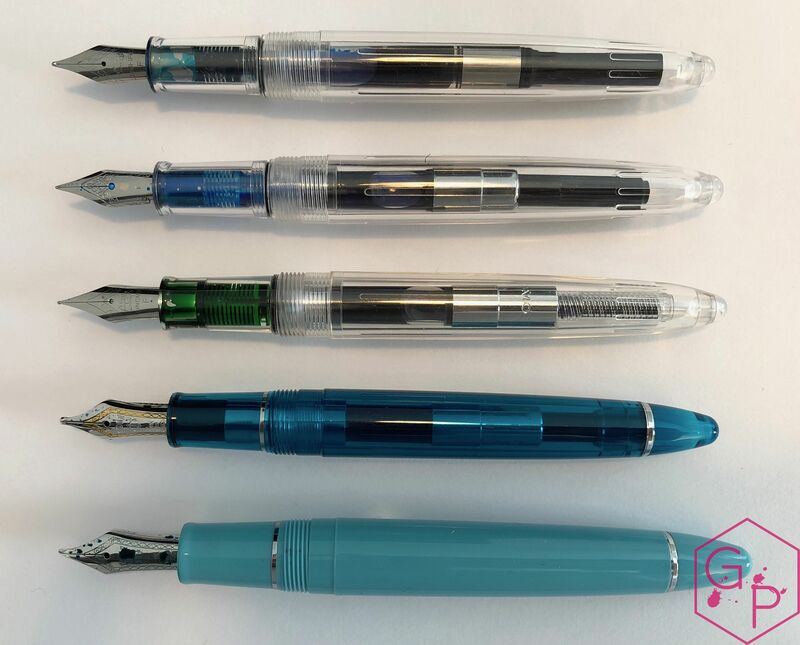 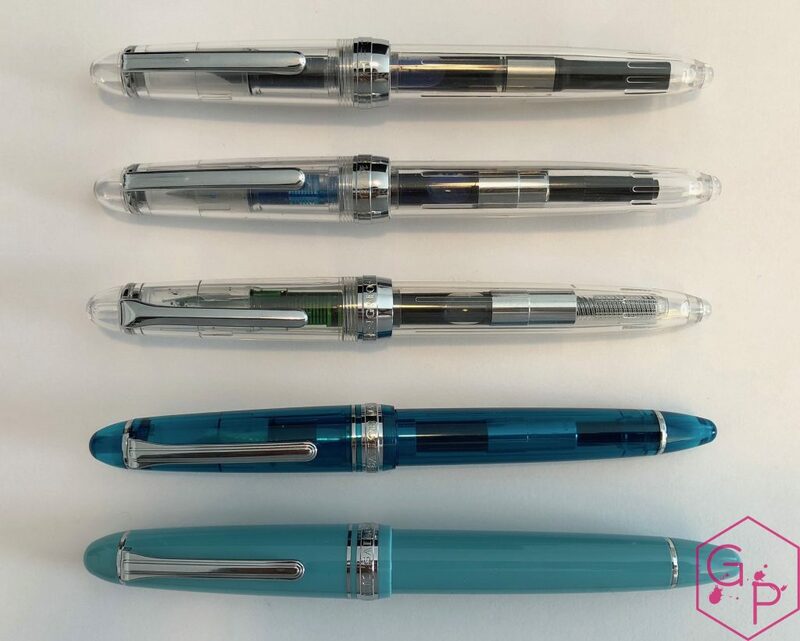 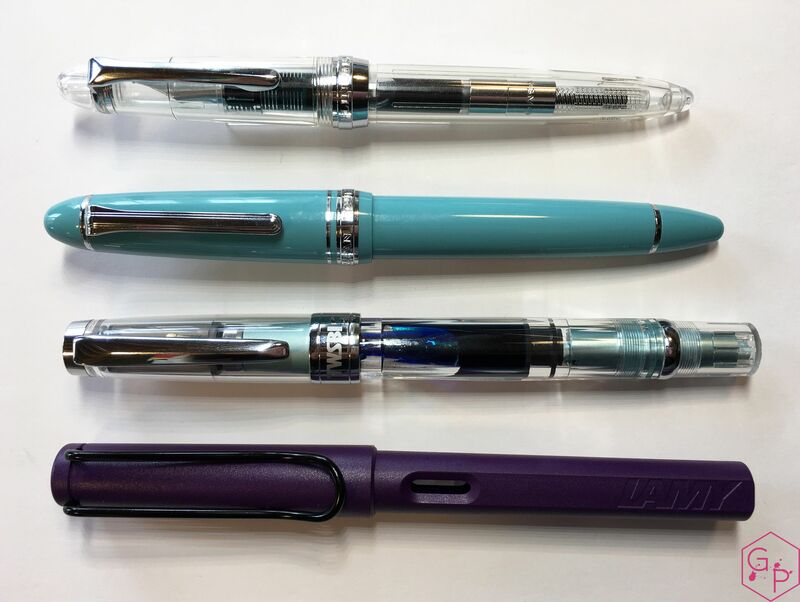 You can check out the full reviews of these pens, if you like: Opus88 Koloro and Opus88 Koloro Demonstrator. 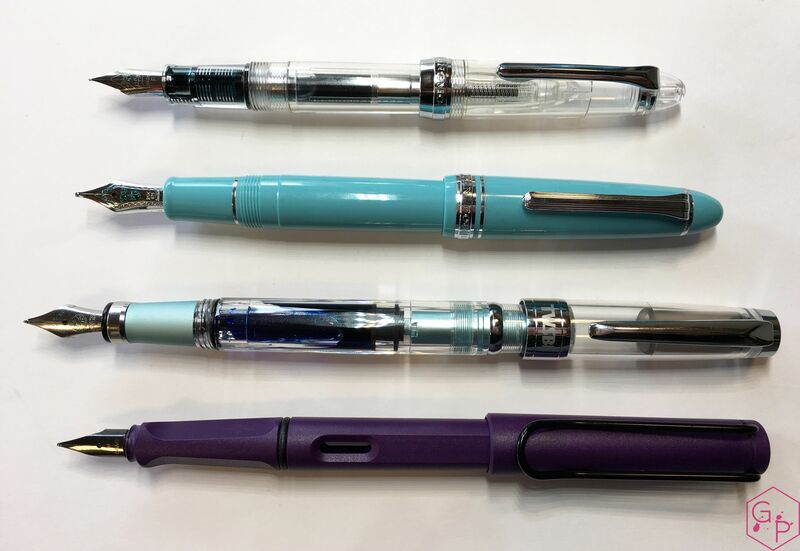 This entry was posted in Fountain Pen Shootout, Reviews and tagged #5 Nib, #6 nib, Demonstrator, eyedropper, fountain pen shootout, Koloro, One-Way Shutoff Valve, Opus88, Steel Nib on August 13, 2018 by sbrebrown. 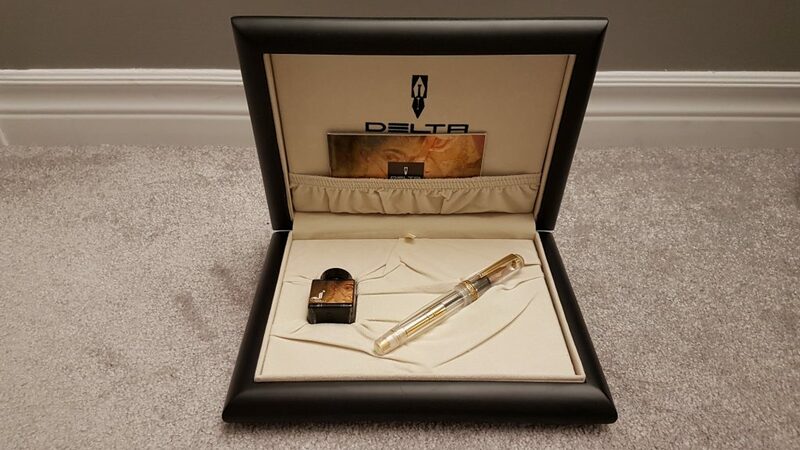 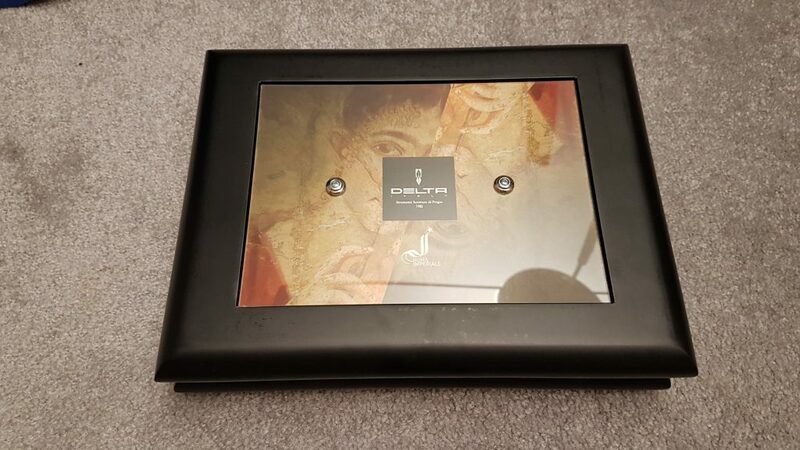 This pen was kindly sent to me by Goldspot – thank you! 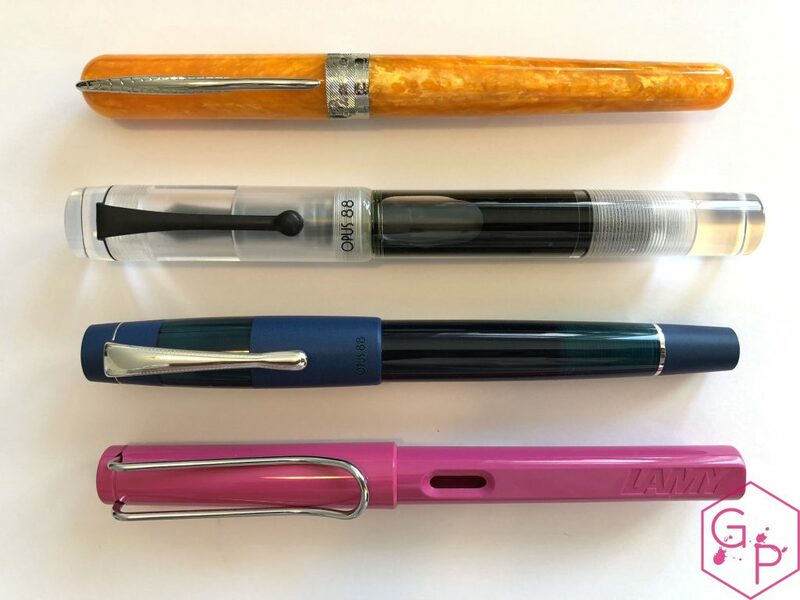 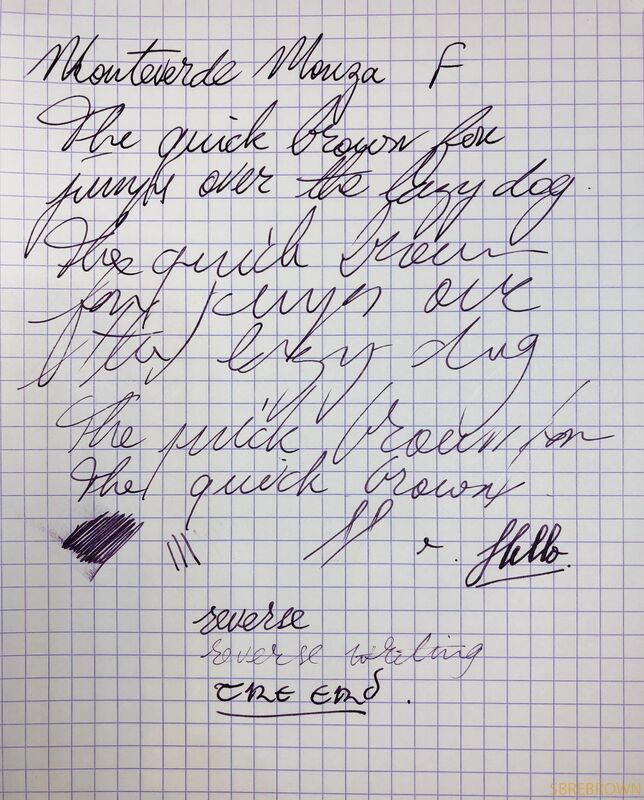 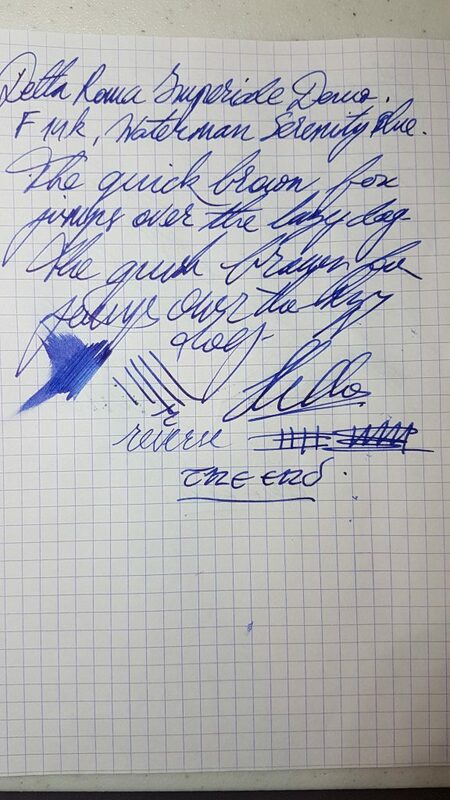 This entry was posted in Fountain Pens, Reviews and tagged #6 nib, Demonstrator, eyedropper, fountain pen, Koloro, One-Way Shutoff Valve, Opus88, review, Steel Nib on August 6, 2018 by sbrebrown. 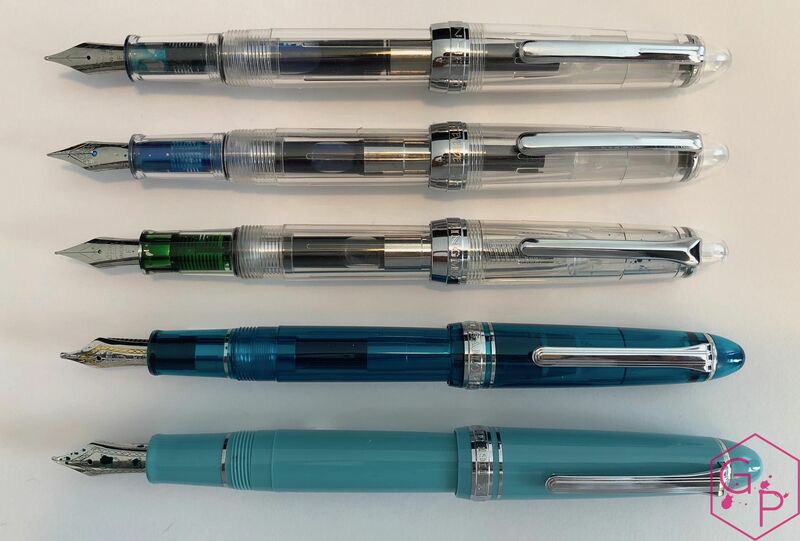 As always, disassemble pens at your own risk. This entry was posted in Disassembly Line, Fountain Pens and tagged Demonstrator, Disassembly, Disassembly Instructions, disassembly line, How to Disassemble, Jinhao 992 on May 25, 2018 by sbrebrown. 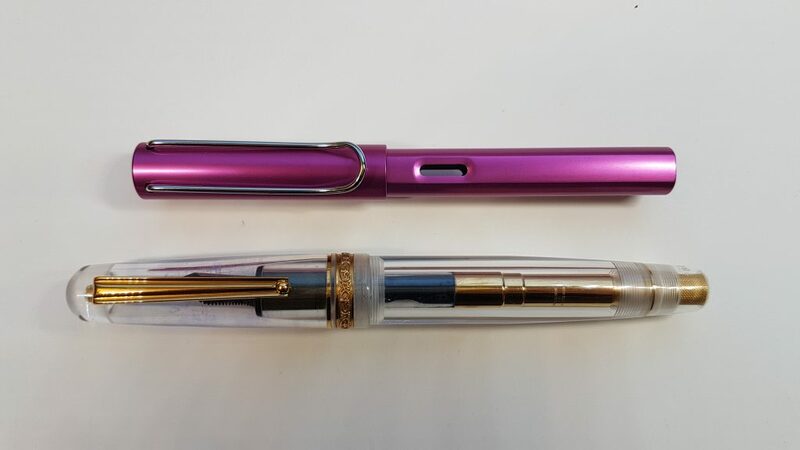 This pen was kindly sent to me by Goldspot Pens. 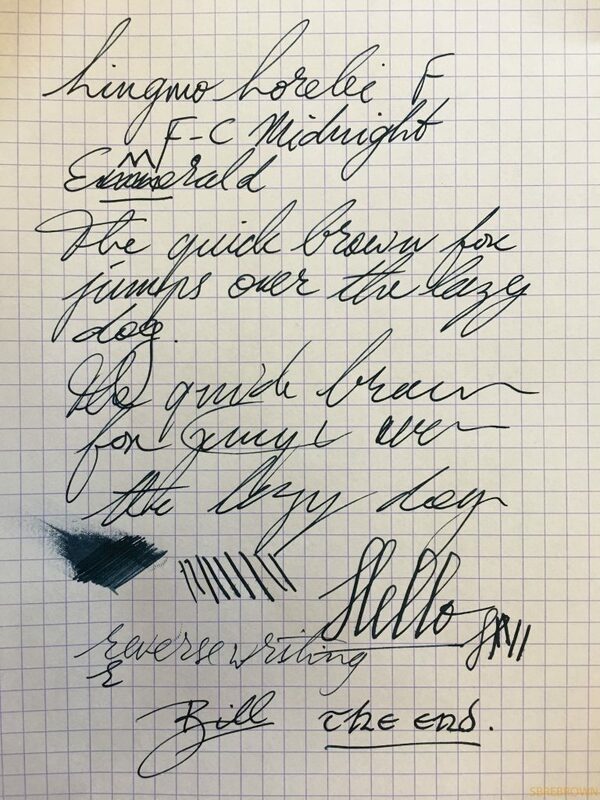 This entry was posted in Fountain Pens, Reviews and tagged Cartridge-Converter, Demonstrator, Inexpensive Fountain Pen, Monteverde, Monza, Steel Nib on February 19, 2018 by sbrebrown. 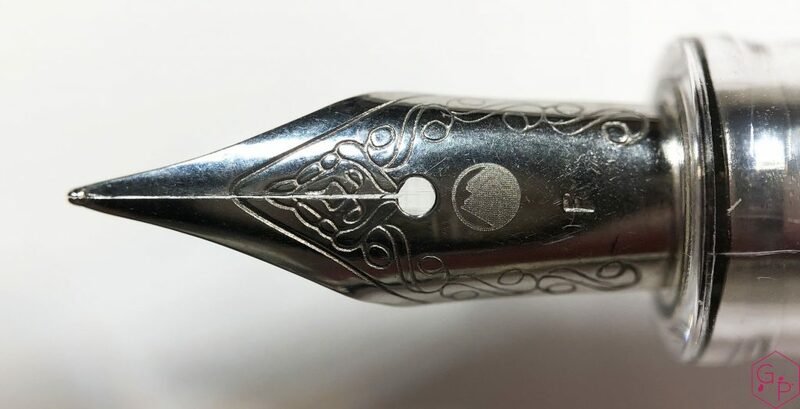 This pen was kindly sent to me by my friend Bill. 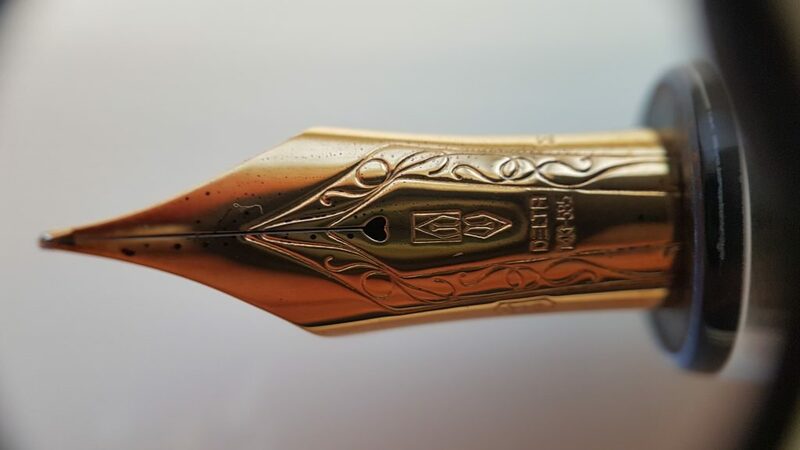 I was excited to be able to review this pen, as I received a lot of requests for this one… Clearly, this pen is rather strongly inspired by the Sailor 1911 Standard fountain pen. 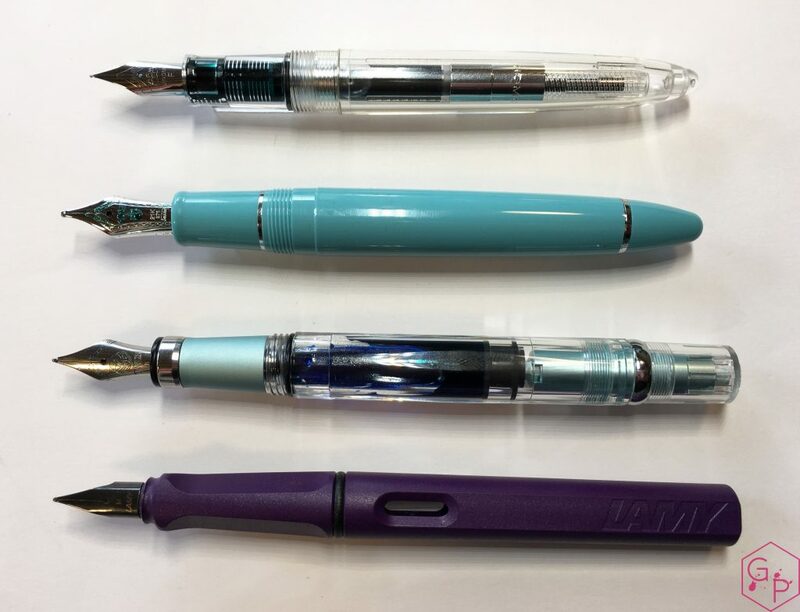 This entry was posted in Fountain Pens, Reviews and tagged Clear Pen, Demonstrator, fountain pen, Lingmo, Lorelei, review, Steel Nib on September 25, 2017 by sbrebrown. 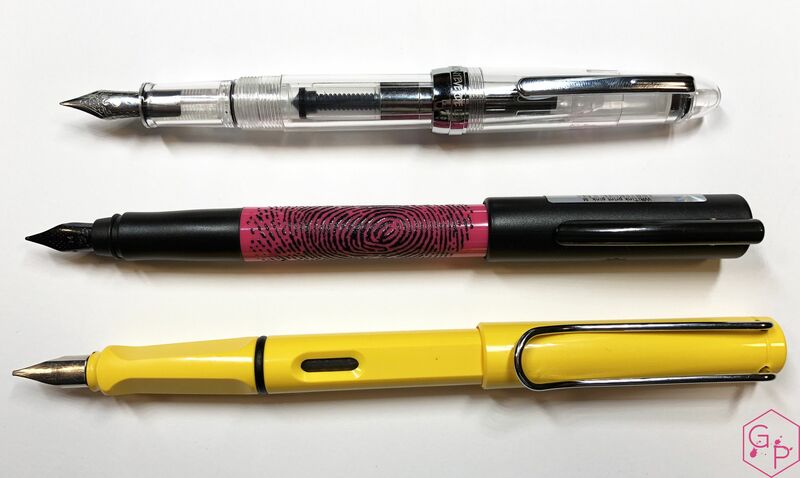 This pen is from Pen Chalet – and you can use ‘sbrebrown’ for 10% off your purchases! 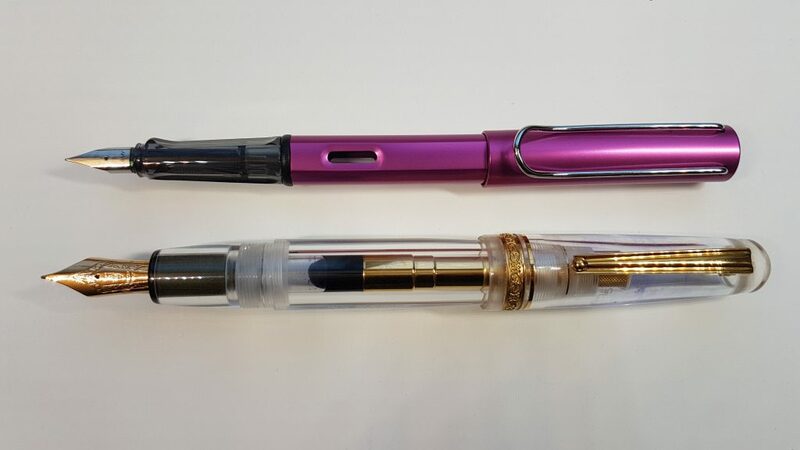 This entry was posted in Fountain Pens, Reviews and tagged Cartridge, clear, Converter, Demonstrator, Gold Nib, Gold Trim, Pen Chalet, Sailor on December 12, 2016 by Azizah Asgarali.